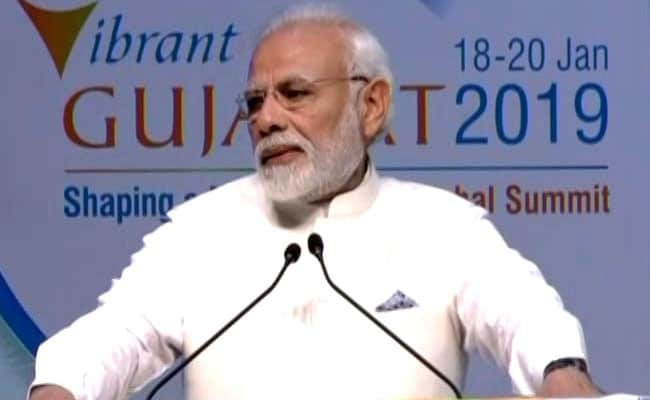 Vibrant Gujarat Summit: Addressing the opening day of the Vibrant Gujarat Summit today, PM Modi said that India is aiming to be in the list of the top 50 countries in ease of doing business next year. Prime Minister Narendra Modi today inaugurated the Vibrant Gujarat Summit in Gandhinagar. 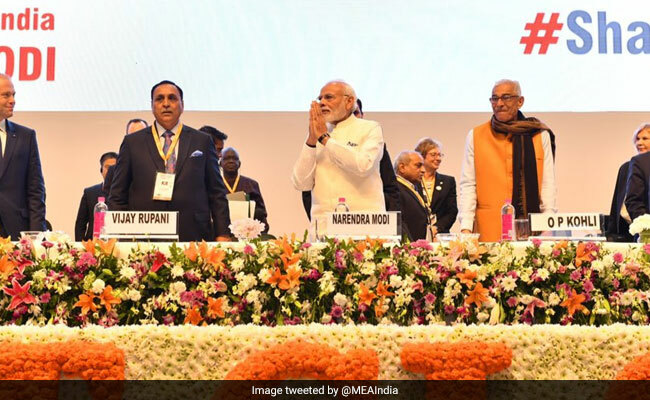 Prime Minister Narendra Modi today inaugurated the ninth edition of the Vibrant Gujarat Summit in Gandhinagar. The mega-trade event that will span over three days is likely to attract 1.5 million visitors and more than 30,000 national and international delegates. 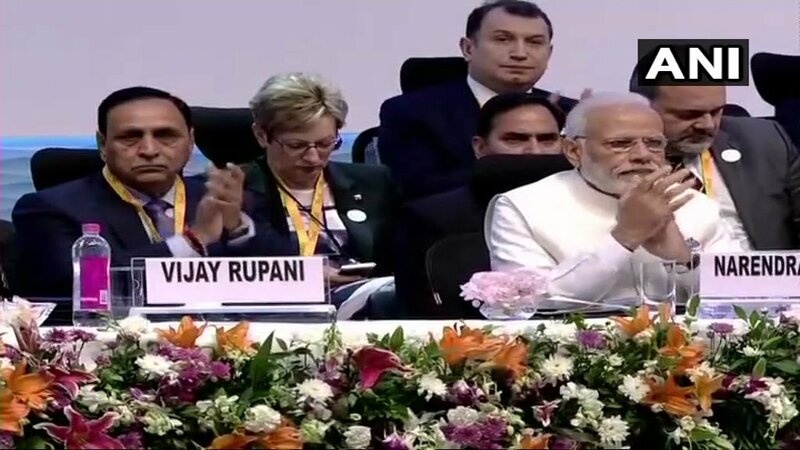 Addressing the opening day of the Vibrant Gujarat Summit today, PM Modi said that India is aiming to be in the list of the top 50 countries in ease of doing business next year. The Vibrant Gujarat Summit was conceptualised in 2003 by PM Modi who was then the chief minister of Gujarat to re-establish the state as a preferred investment destination within India. The event has evolved into a platform for brainstorming on agendas of global socio-economic development. 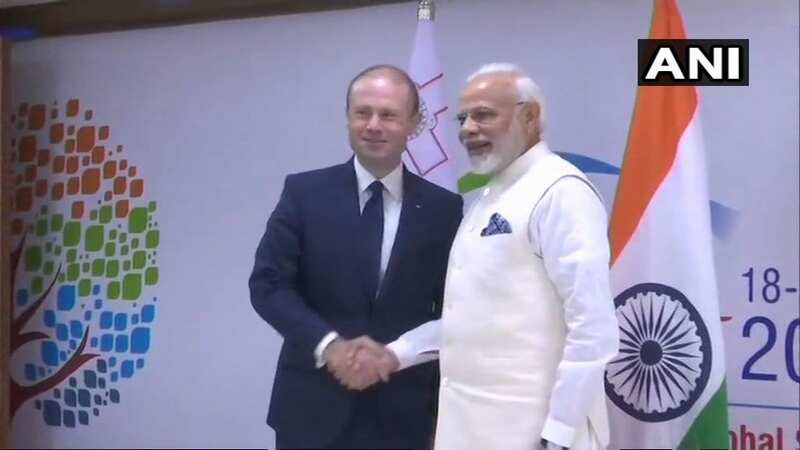 "Great meeting with PM @JosephMuscat_JM of Malta. Our talks will add tremendous strength to bilateral ties between our nations and benefit the people of our countries," tweets PM Modi. 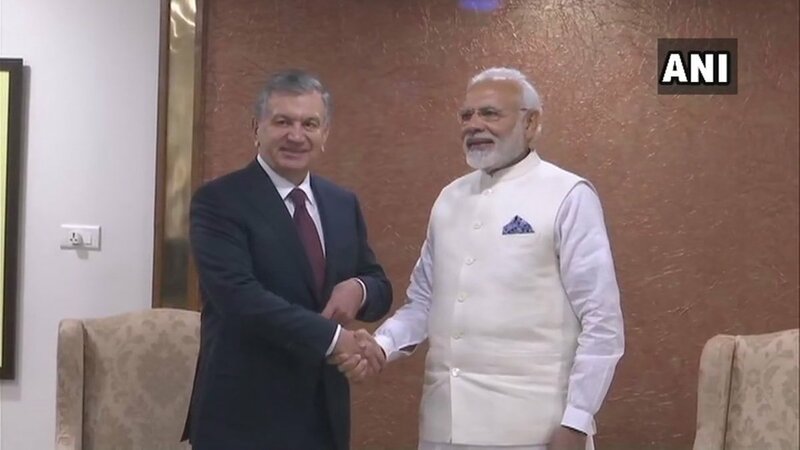 He adds: "India is honoured to host the President of the Republic of Uzbekistan, Mr. Shavkat Mirziyoyev. We had fruitful talks on the sidelines of the Vibrant Gujarat Summit in Gandhinagar. We discussed various aspects relating to India-Uzbekistan ties." Dignity of the presence of top political leaders. Energy of CEOs and corporate leaders. Gravitas of institutions and opinion makers. 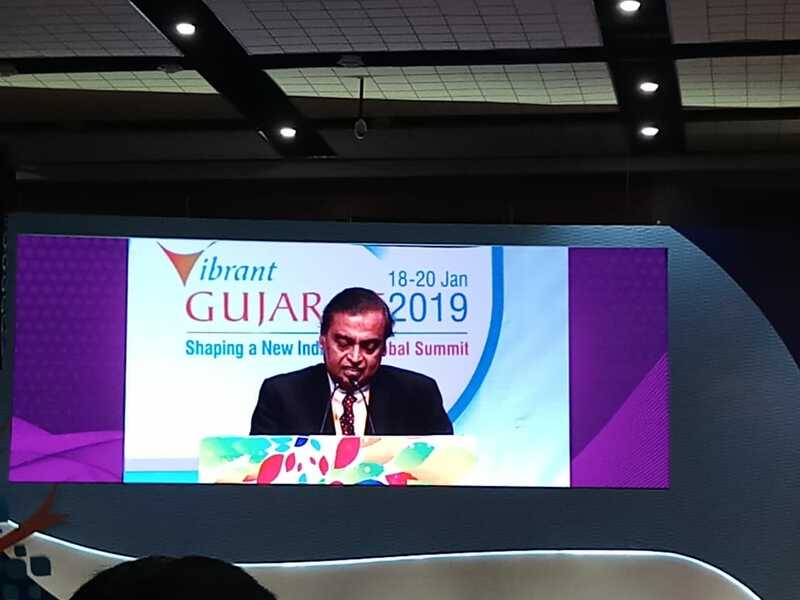 Ikramov Adkham Ilkhamovich, former Vice Prime Minister of the Republic of Uzbekistan, at the Gujarat summit, says: "The law will change very soon to bring the international experience for hospitality and many more industries." 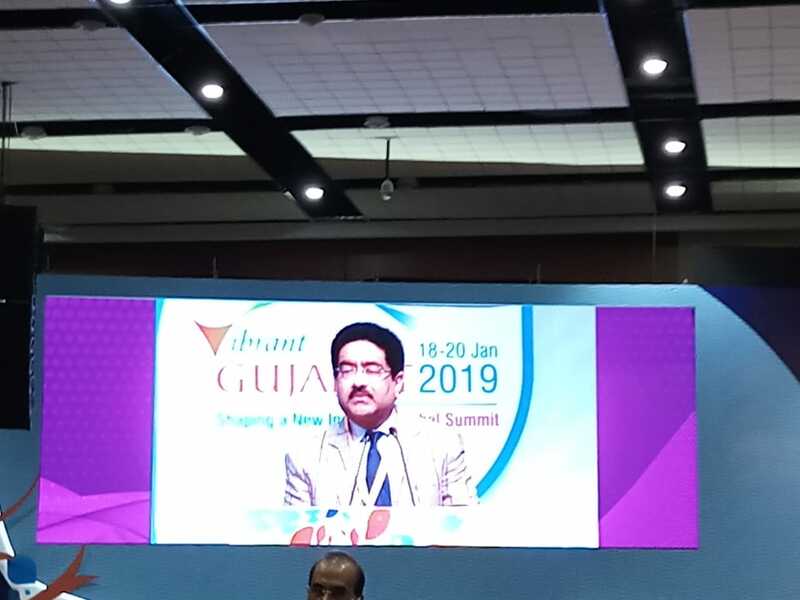 Vibrant Gujarat 2019 provides a stage to Jharkhand to showcase its state's assets for inviting new investment. Seminar on Australian industry capability on at Vibrant Gujarat summit to provide an opportunity for Indian businesses to learn about the country and explore business, investment and partnership opportunities. Addressing the inaugural session of the Vibrant Gujarat Summit today, PM Modi told investors, "This is the best time to be in India." India's richest person Mukesh Ambani on Friday committed to invest Rs 3 lakh crore in various projects in the next 10 years in Gujarat, that may range from energy and petrochemical to new technology and digital business. "Gujarat is Reliance's Janmabhoomi (birthplace) as well as its Karmabhoomi (workplace). Gujarat has always been - and will always remain - our first choice," he said at the 9th Vibrant Gujarat Global Summit in Gandhinagar. Tata group Chairman N Chandrasekaran on Friday said the conglomerate plans to invest in lithium ion battery manufacturing in Gujarat. Speaking in Gandhinagar at the Vibrant Gujarat Global Summit, he said group firm Tata Chemicals is also looking to enhance its soda ash capacity to one million tonnes annually. "Many of our group companies like Tata Chemicals and Tata Motors have very significant presence here. We look forward to continuing our investment in the state," Mr Chandrasekaran said. "At 7.3%, the average GDP growth over the entire term of our Government, has been the highest for any Indian government since 1991. At the same time, the average rate of inflation at 4.6% is the lowest for any Indian government since 1991," PM Modi claimed at the Vibrant Gujarat summit today. "We have also made Doing Business cheaper. The implementation of GST and other measures of simplification of taxes have reduced transaction costs and made processes efficient. We have also made Doing Business Faster through digital processes and single point interfaces," PM Modi said in his address at the Vibrant Gujarat summit. "India is now ready for business as never before. In the last four years, we have jumped 65 places in the Global Ranking of the World Bank's Ease Of Doing Business report. But we are still not satisfied. I have asked my team to work harder so that India is in the top 50 next year," PM Modi told the delegates at the Vibrant Gujarat summit. "Institutions like the World Bank, IMF and Moody's have shown confidence on India's economy and the reforms taken in recent times," he added. PM Modi added, "In India, our challenge now is to grow horizontally and vertically. Horizontally, we have to spread benefits of development to regions and communities that have lagged behind. Vertically, we have to meet enhanced expectations in terms of quality of life and quality of infrastructure." "We are honoured by the presence of many Heads of State and Government and several other distinguished delegates. This shows that international bilateral cooperation is no longer limited to national capitals, but now extends to our state capitals as well," PM Modi said at the Vibrant Gujarat Global Summit in Gandhinagar. 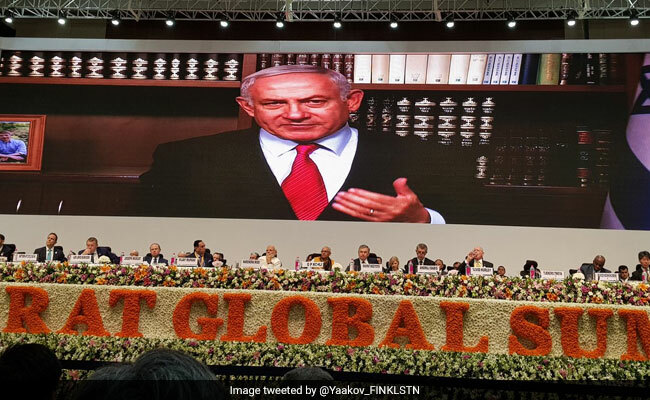 In a special message to Vibrant Gujarat today, Israel PM Benjamin Netanyahu said Gujarat symbolised the "powerful connection" between Israelis and Indians. "Together we're building limitless possibilities for the future," he said. Toshihiro Suzuki of Suzuki Motors said that the car-making giant will open a second plant in Gujarat "shortly". He added that a third Suzuki plant in Gujarat will be set up by 2020. After three plants in operations, annual production capacity of Suzuki Motor Gujarat will be enhanced up to 7,50,000 units, he said. Adani Group chairman Gautam Adani has announced a 55,000-crore investment in Gujarat. While Mukesh Ambani has pledged Rs 150 crore for Pandit Deendayal Petroleum University in Gandhinagar, Kumar Mangalam Birla has promised an investment of Rs 15,000 crore in Gujarat. Gautam Adani, chairman of the Adani Group today praised PM Modi, claiming that a large section of India's population was given an opportunity for upliftment under the government. 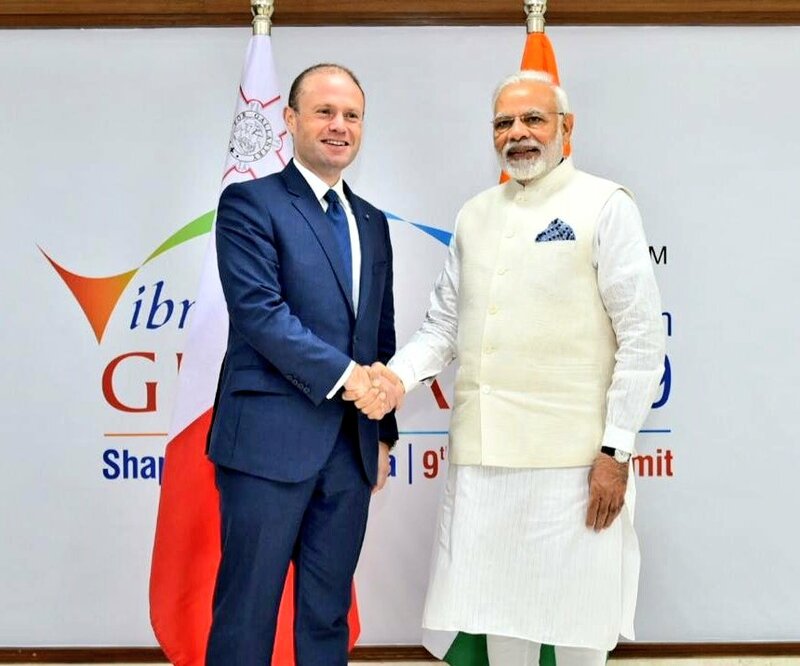 PM Modi today met Maltese PM Joseph Muscat on the sideline of the Vibrant Gujarat summit in Gandhinagar. The two leaders discussed economic linkages and agreed to enhance mutual cooperation in sectors such renewable energy, pharmaceuticals & healthcare, air connectivity and tourism. At the Vibrant Gujarat summit, chairman of the Birla Group, said that the Statue of Unity was reason for India's pride. He mentioned how Ultratech Cement, a company under the Aditya Birla Group, had played its part in the construction of the 182-meter statue. PM Modi earlier today met Uzbekistan President Shavkat Mirziyoyev in Gandhinagar on the sidelines of the Vibrant Gujarat Global Summit. The two nations also signed a MoU. Here are visuals of PM Modi at the inaugural session of Vibrant Gujarat Global Summit in Gandhinagar. PM Modi inaugurates Vibrant Gujarat summit. The trade show will continue till January 22 and will be open for general public on the last two days (January 21 and 22).